Our etsy giveaway today is from shop owner Rochelle31 and is in honor of the newly released Haunted by Joy Preble. Rochelle comments…”I love the decorative and romantic and my work is inspired by Art Nouveau, Symbolism and Japanese lacquer design, as well as artists such as Aubrey Beardsley and Gustav Klimt. 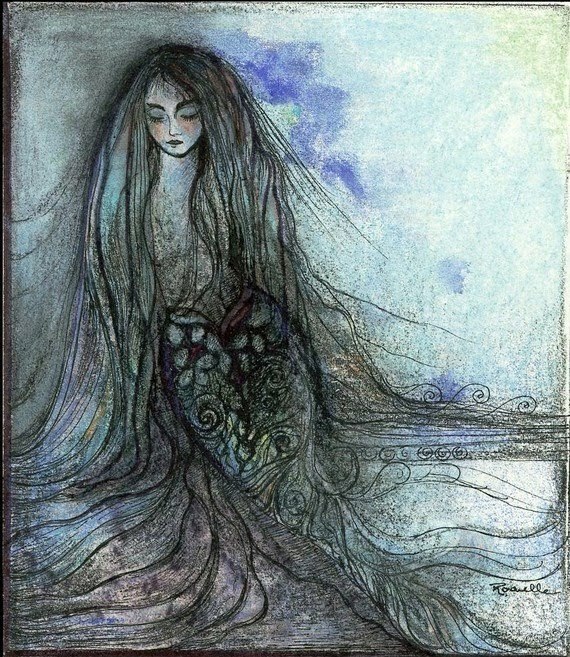 Description This sea green mermaid is a print of an original drawing in pen, ink and watercolor. It is printed on 8.1/2 X 11″ epson matte heavyweight paper with archival inks. 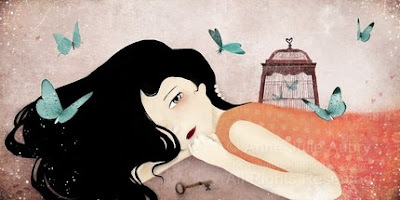 Each print is hand decorated with glitter and signed by the artist. The print is shipped in a clear protective sleeve with card board backing. Print measures 4,7″ × 9,5″ on 8,5″ × 11″ paper. The image is centered on the paper leaving a white border for framing. It is printed on 100% cotton, high quality archival artist paper, free of acid and optical brightener, neutral Ph. All prints are signed and dated by me, the artist. Fans of Grimilkin in “The Iron King” by J Kagawa will love today’s giveaway! Our ETSY seller is Tigerpixie…My name is Carrie Hawks and I am a full time self-representing cat artist specializing in Fantasy Cats. I have been selling my cat artwork and gift items online since 2001, and I am a juried member of ebsq+. I have been painting and drawing ever since I can remember. I have always been very artistic and fell in love with cats at an early age. I regard myself as primarily a cat artist and incorporate a fantasy theme with most of the felines that I paint. I have always felt a special connection to cats because of their unique personalities. This helped make them a natural subject choice for me. My own cats are my inspiration and models for much of my work. I am a self-taught artist. My favourite media is oil pastel – so that’s what most of my paintings are painted with. 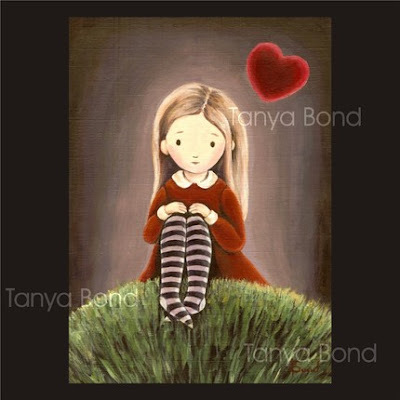 Check out my blog http://www.tanyabond.com/ where I frequently post my new works. 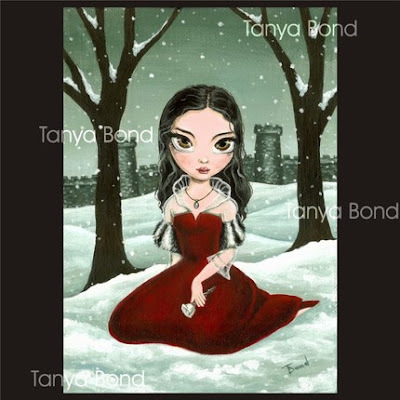 I also have a shop on ebay (account name – ronandaly), on Artfire and on daWanda (tanyabond username. Contest ends May 22, 2010 and is open internationally!